We have been busy busy with all of our beautiful florals! 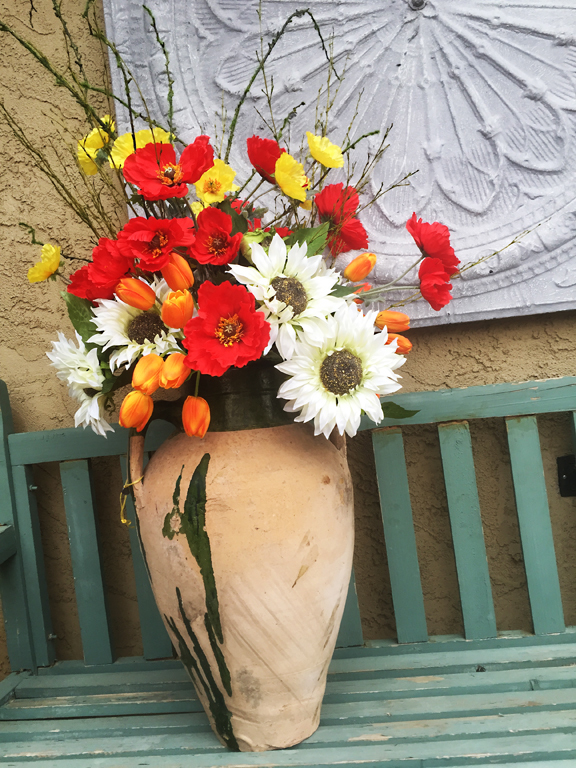 This customer brought in her wonderful large turkish jug and picked out mossy branches, bright red poppies, large cream sunflowers, and bright orange tulips. It turned out bright and beautiful love it! This will look stunning on her dining table and she will enjoy all spring and summer! This was done specifically for her front door and large entrance it needed some wow power to it! 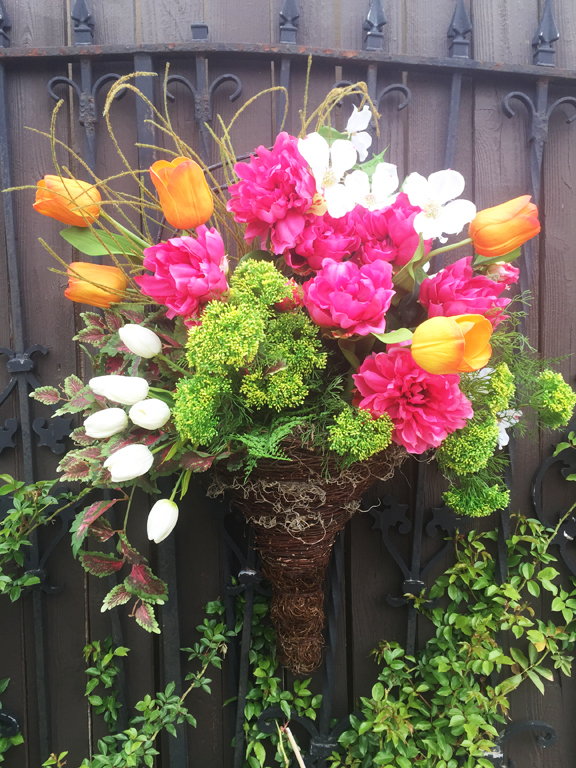 Hot pink peonies, bright white tulips, trailing coleus, and large orange tulips made this gorgeous! Looking for some inspiration? Let us help you!